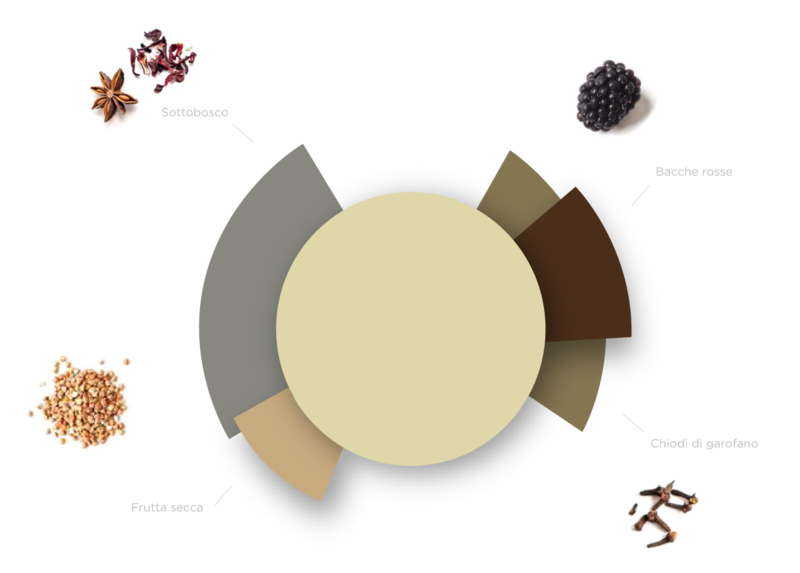 The different vines called Lambrusco as we know them today have arisen from the domestication of Vitis silvestris, which developed over the millennia, from prehistoric times, through natural selection. 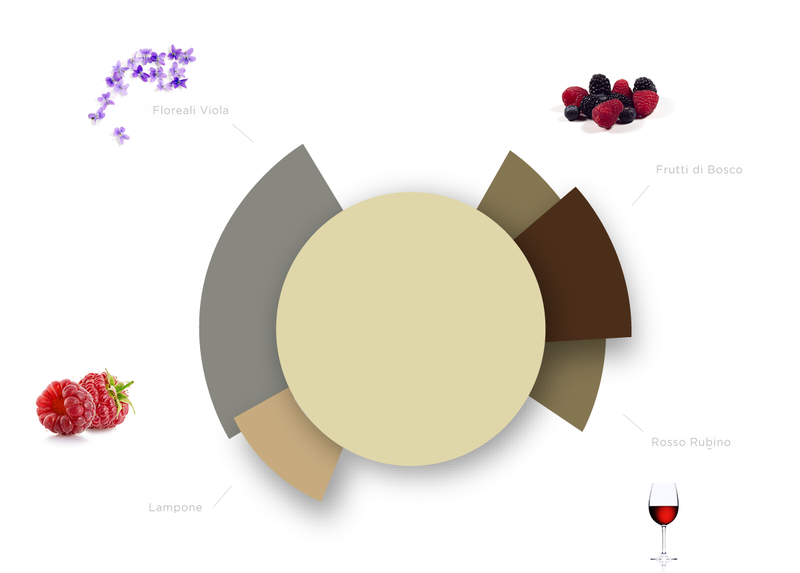 At the end of the nineteenth century 56 varieties of Lambrusco red grapes and 27 white grapes were described while a more recent study and census has classified them into 8 qualities. The Lambrusco ‘Salamino di Santa Croce’ DOP comes from the vine with the same name . The bunch of grapes is small, cylindrical, thin, compact and tight. The berry is not uniformly big and spheroidal, with a thin, bloomed, blue-colored skin, the flesh is juicy. Its production is rich and constant and its grapes ripen in early October, after having stored the summer and autumn sunlight. It originates from the lands in Carpi (in the province of Modena) and nearby land of the southern area belonging to the Modena province . Lambrusco di Santa Croce owes its name to the village with the same name, Santa Croce, in the town of Carpi. From here this vine spread throughout the province of Modena and neighboring lands. The soil here is generous and very fertile, thanks to the constant man’s work for over two millennia. Intense ruby ​​red color with violet tinges and evanescent mousse; the scent is intense. fruity, fragrant, complex, recalling the aroma of the grape. The taste is full-flavoured, balanced, balanced acidity, slightly fruity. Well structured and full-bodied. It is made ​​from the vine with the same name. The bunch is loose, cone-shaped, the berries are spherical and depending on the vintage they can be more or less like shot berries. This is due to a floral anomaly which brings to a significant loss of product and the cause is a pollen sterility. Some years even reported productive loss that exceeded two-thirds of the yields. But this is also a peculiar feature of this grape which becomes unique, easy to remember and considerably prized. The yields are reduced but the flavors are much more concentrated. The production is always very short and in some years, even insufficient, but if it lacks in quantity, its quality on the contrary is always amazing. To facilitate its fertilization, this vine is cultivated with a percentage of Lambrusco Salamino, side by side in the same vine. It pours a light ruby red, with a pinkish mousse, this is the lightest of the four varieties of Lambrusco DOP in the province of Modena. The scent is fresh, pronounced, very delicate, with a distinct hint of violet, which is the most typical and unmistakable feature of this wine. The flavor is delicate, full-flavored, balanced, pleasantly acidulous and fruity. Thanks to its high acidity and light body it is a delicious and easy wine to be drunk young. The historical origin of the term MODENA given to Lambrusco, is known since 1800 thanks to the production method, which consisted of a blend of the various Lambrusco grapes grown in the province of Modena, the name of the region capital. 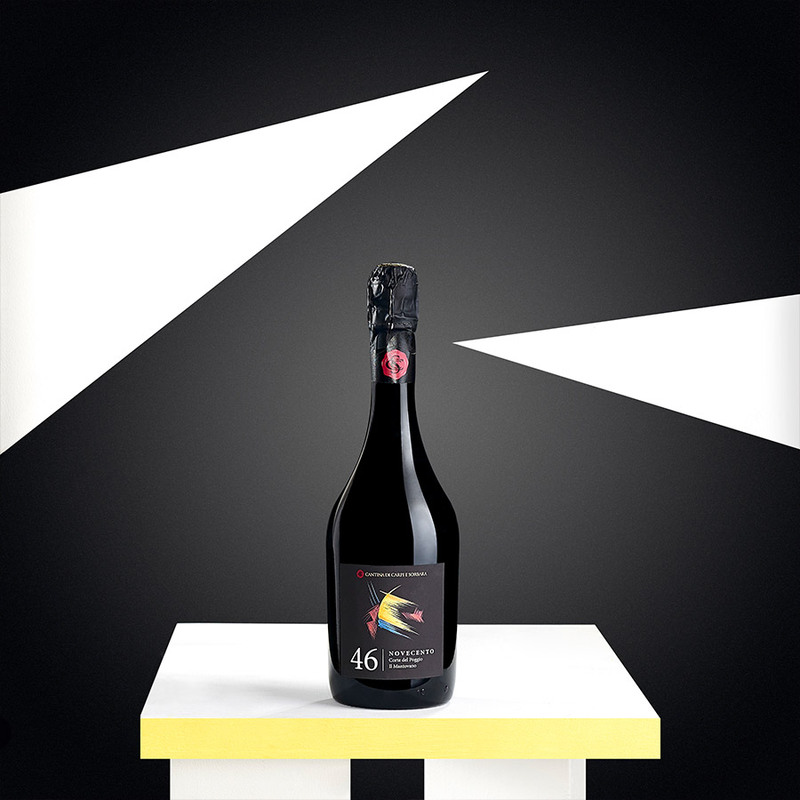 The substantial and significant trade results achieved in over a century of business activity have turned the wine Lambrusco di Modena into one of the most qualified products in the oenological panorama of the province. This success has led his reputation to obtain the prestigious PDO status. 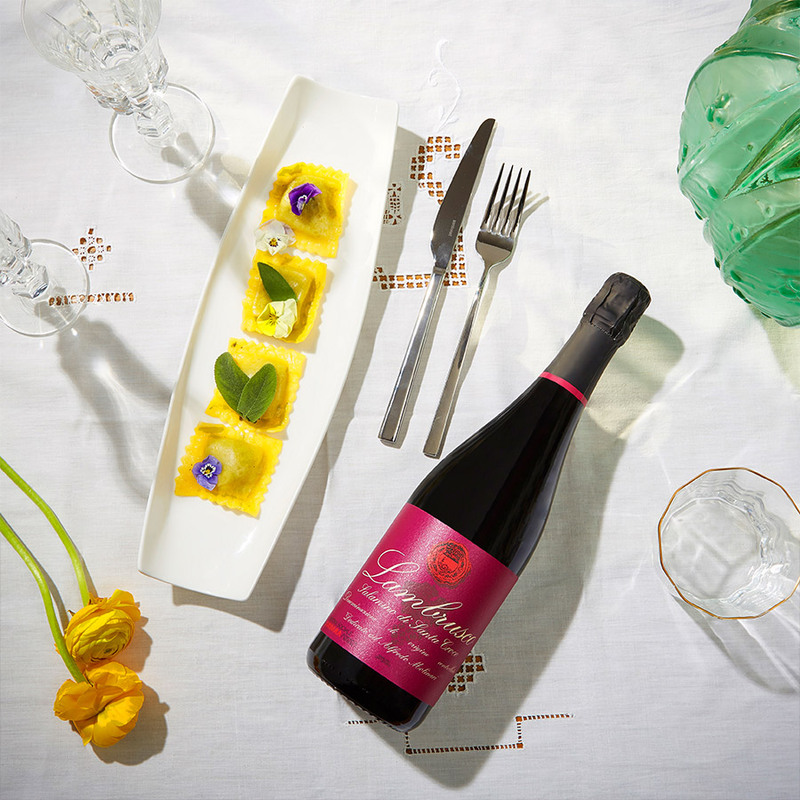 The Life Lambrusco over the years, has become increasingly important in agricultural crops in the provinces of Reggio Emilia and Modena, producing delicious scented wines, not very alcoholic. In 1971 the wine Lambrusco Reggiano DOP obtained the Denomination of Controlled Origin (now protected) to allow the promotion of typicality and quality of these lands. 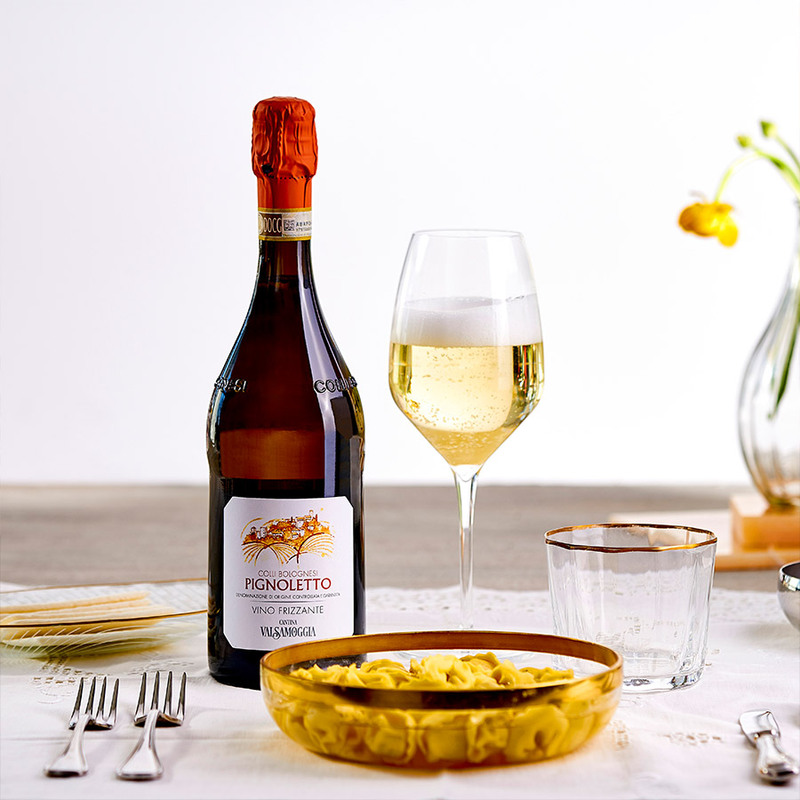 A sparkling effervescent mousse, its ruby red color, a pleasant floral and fruity scent, its taste is a delicious blend of freshness, fragrance and flavor, all these features express the typically bubbly spirit of this wine. 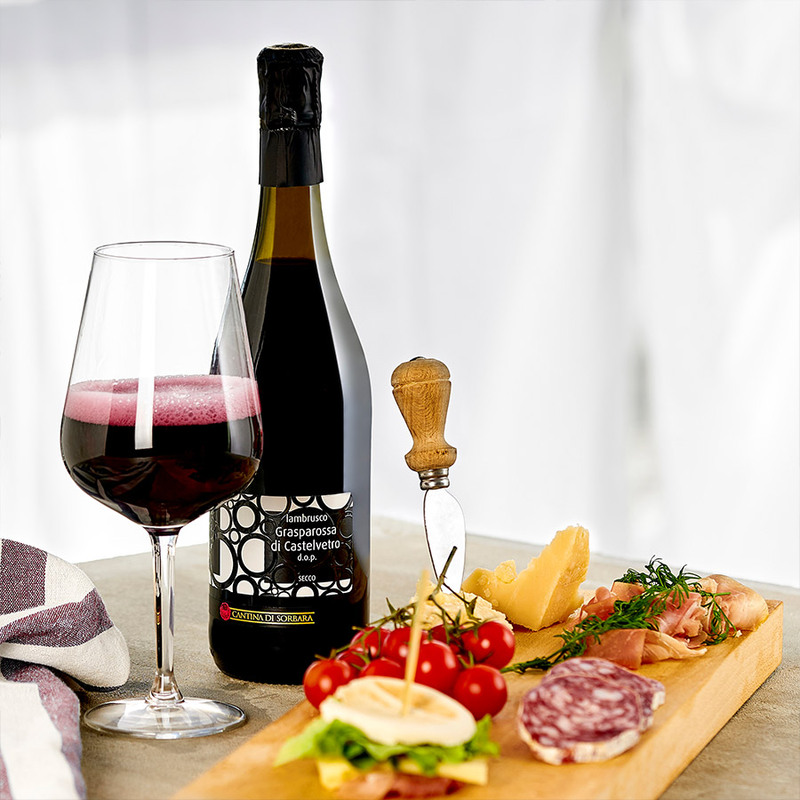 The wine Lambrusco Mantovano with PDO designation, comes from centennial wine-growing experience, dating back from the time of the Benedictine monks. It is produced in two areas separated by the Po river: area Viadanese Sabbionetano and area Oltrepò Mantovano. 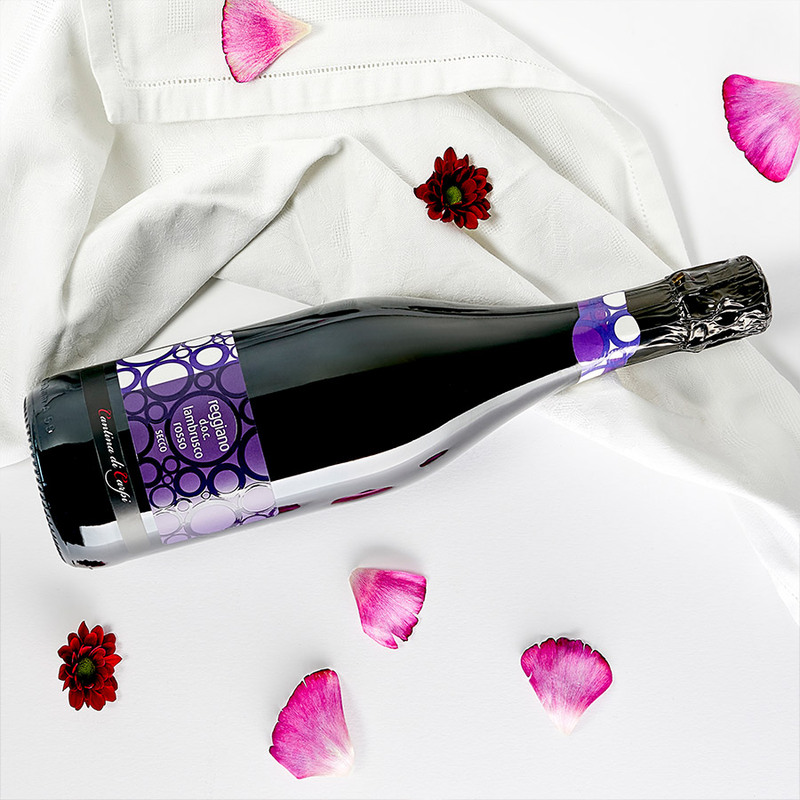 According to the official production protocol, this wine is made with grape varieties such as Lambrusco Viadanese and Groppello Ruberti and other vines like Lambrusco Salamino, Lambrusco Maestri, Lambrusco Marani. 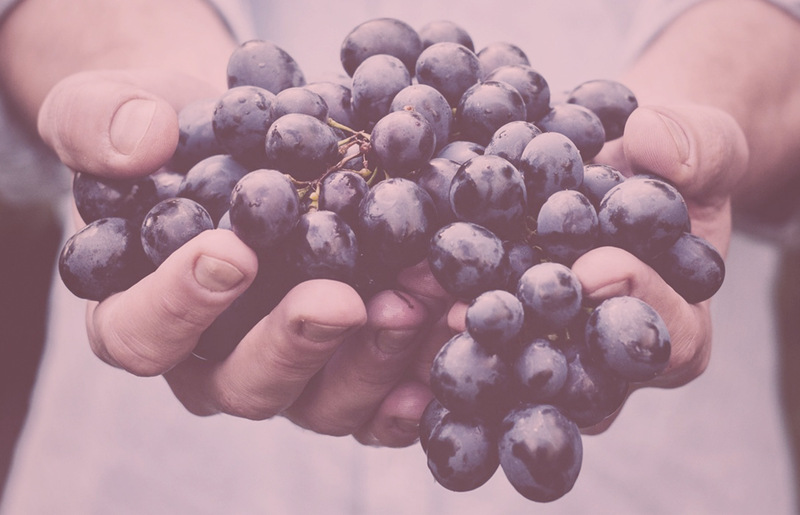 Moreover, it is possible to use alone or in combination with the vines Fortana, Lancellotta, Lambrusco Grasparossa and Lambrusco di Sorbara, for a maximum percentage of 15%. A full-bodied wine, authentic rounded flavor with a splendid dark red colour. Its peculiarity is due to the clayish nature of the soil, subtracted to the Po river only in recent times. 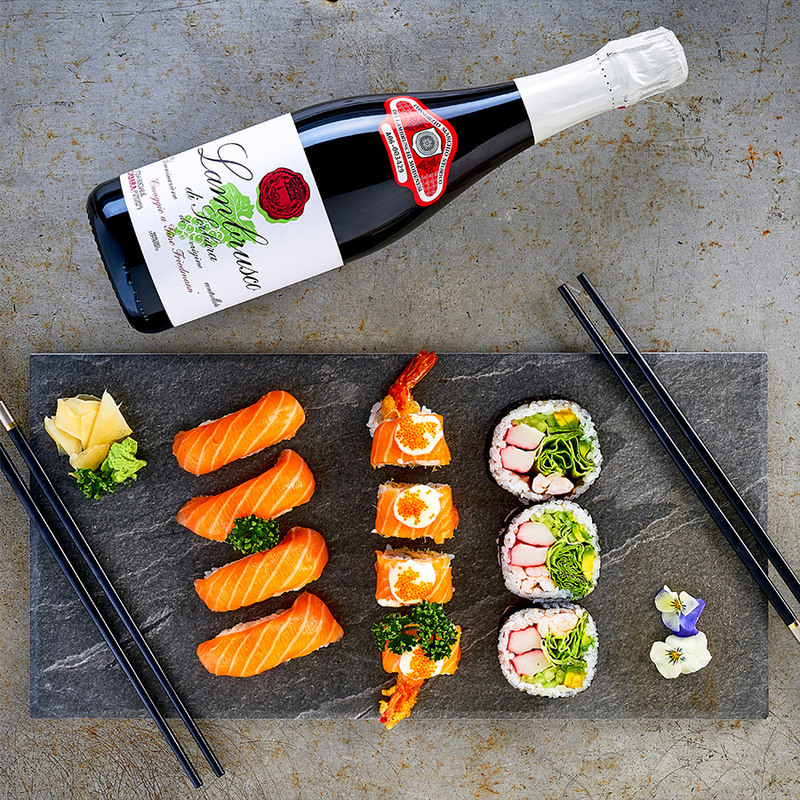 The wine Lambrusco di Castelvetro Grasparossa DOP is made ​​from the grape variety with the same name. It is not characterized by a great vigor but this vine has a special feature : not only turn its leaves reddish in autumn, but also its stalk and cap stems . The bunch is loose and cone-shaped , of medium length, with spheroidal blue-colored pruinous berries. The skin is thick, the flesh is juicy, sweet and slightly sour. The Lambrusco Grasparossa grows in rather poor soils such as those of the first Modena hills. It is a strong vine which handles adversity very easily and ripen relatively late, capturing every single ray of the autumn sun. The vine Grasparossa is cultivated in the dry soils of Modena’s plains and hills. In the hilly area, the surface soils are not very permeable and hard to grow. The soil is made mostly of sandy clay and marl. The production is not very big in quantity, but of very good quality. On the contrary in the southern hilly area , the soil is made ​​up of silt and silty sands on a bed of gravel, being therefore much more porous and permeable. This vine has never spread in the plain. Intense ruby ​​red color with violet tinges and evanescent mousse , the scent is intense. fruity, fragrant, complex, recalling the aroma of the grape. The taste is fruity, balanced, balanced acidity, slightly fruity. Well structured and full-bodied. The fermentation by yeasts added to the basic must causes yeast cells to feed on the sugars in the must and multiply, producing carbon dioxide gas. Carbon dioxide causes overpressure which generates a layer of mousse, known as the cap. The second fermentation takes place at controlled temperature between 16-20° C in special closed containers, called autoclaves. 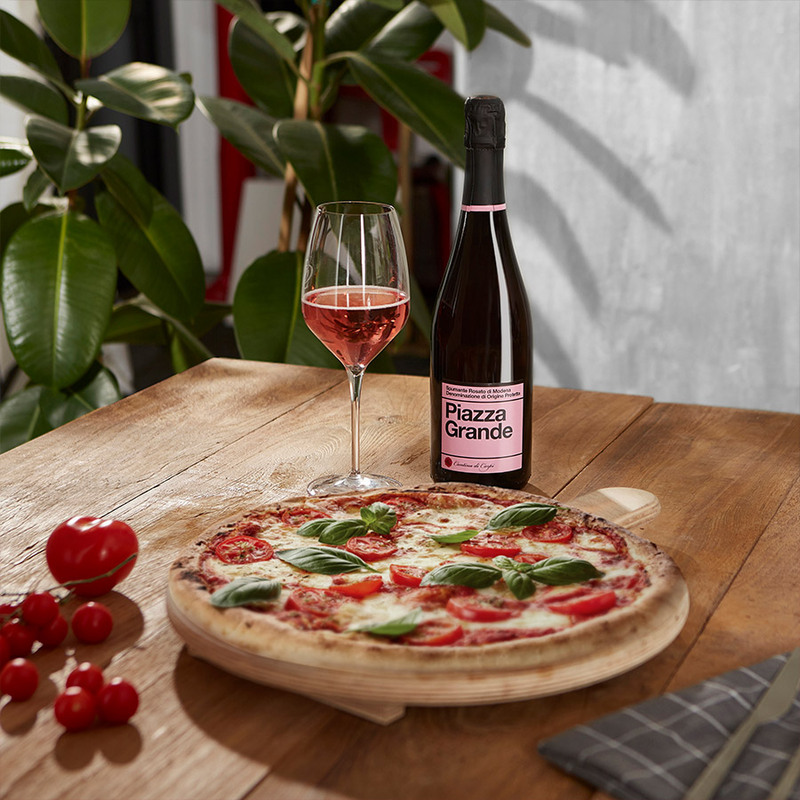 The Carbon dioxide produced remains dissolved in the wine, thus creating the famous “bubbles” of Lambrusco. After reaching the overpressure and the desired decreased percentage of sugars, to lock the second fermentation, the wine is cooled down from 16-20° C by lowering the product to 0° C. After the second fermentation, the wine is centrifuged to make it limpid and sparkling. The next phase is the cold tartaric stabilization and finally the polishing filtration for bottling. This is done using an isobaric filler to keep the bubbles dissolved in the wine. The bottles, rigorously new, are washed with sterile water and the wine is microfiltered (this prevents the pasteurization which reduces the quality of the wine) to avoid a possible second fermentation of the wine itself once bottled, when not desired. In the case of the wines fermented in bottle on the contrary, the fermentation is needed. The bottles are then capped with a natural cork, a wire cage and a capsule applied to the neck of the bottle. Next the bottle is labeled and packed into boxes. The entire production process is tracked from the beginning, i.e. from the entrance of the grapes into the cooperative until the bottles are on sale on the shelf of the shopping centers.